Sweet and Sour Chicken Wings - crispy oven-baked chicken wings with homemade sweet and sour sauce. These wings are addictive and delicious, and perfect as an appetizer or main entree. Crispy baked chicken wings in an easy and addictive sweet and sour sauce. There is no deep frying, fuss free and this recipe yields the best chicken wings ever! I love chicken wings but I don’t like the hassle of deep frying. So I baked the chicken wings in the oven. I love Chinese sweet and sour sauce so when you combine the two ingredients together, you get a serving of mouthwatering chicken wings that you can whip up easily at the comfort of your home. There is no need to deep-fry the chicken wings. This recipe is easy, no hassle as the wings are baked in the oven until crispy. 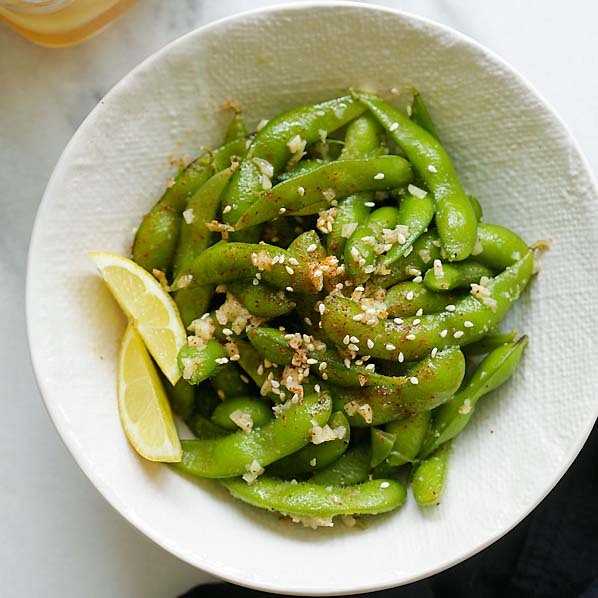 You get almost the same texture as deep-frying, but much healthier and with no grease. While the chicken wings are baked in the oven, prepare the homemade sweet and sour sauce. I used the most basic ingredients for the sauce, so there is no need to rush to Asian stores. The sweet and sour sauce calls for ketchup, soy sauce, Sriracha and sugar. That’s all. 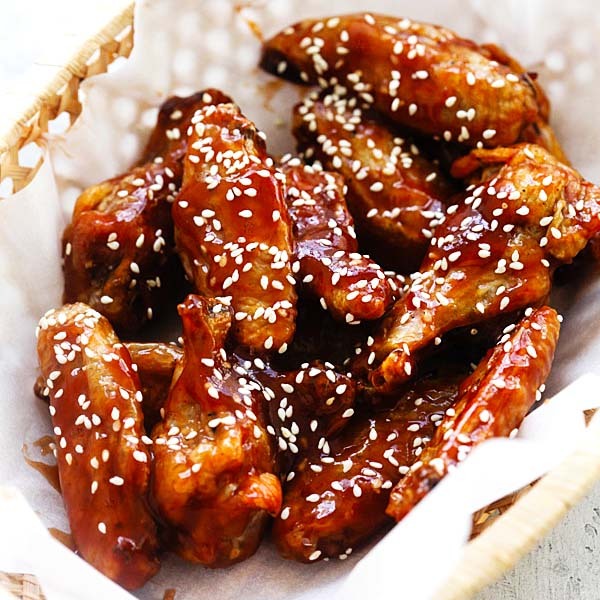 Sweet and Sour Chicken Wings - crispy oven-baked chicken wings with homemade sweet and sour sauce. These wings are addictive and delicious. Rinse the chicken wings and pat dry with paper towels. Transfer to a large bowl and toss with the oil, salt and ground black pepper. Line a baking tray with aluminum foil and then place a baking rack on top. 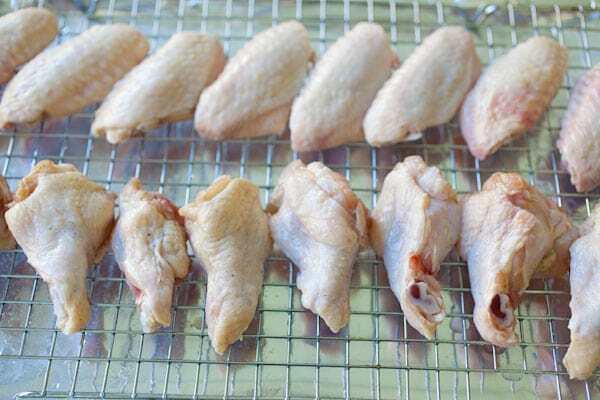 Arrange the wings in a single layer on the rack, as pictured below. 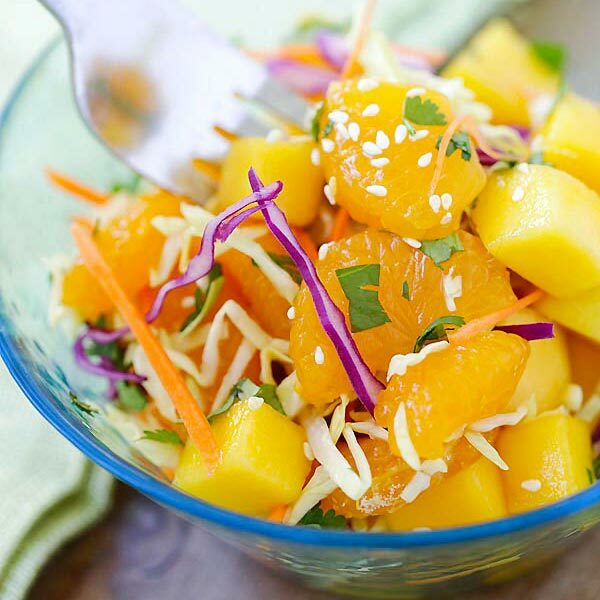 Mix all the ingredients in the Sweet and Sour Sauce in a sauce pan. Heat it up until it thickens and slightly bubbles. Turn off the heat and set aside. When the chicken are done, transfer them out of the oven and add them to the Sweet and Sour Sauce. Toss a few times to coat well. Top the chicken wings with some white sesame. Serve immediately. All photos and recipes on Rasa Malaysia are copyright protected. Please do not use the photos and recipes without prior written permission. If you wish to republish this recipe, please rewrite the recipe in your own words instead of copy and paste and link back to //rasamalaysia.com/sweet-and-sour-chicken-wings. Thank you very much! Can’t wait to try this recipe. What oven temperature? Thanks! Bake for 45-50 minutes at what oven temperature?? J’ai déjà fait cette recette,, et je préfère le poulet à la coréenne . Il a beaucoup plus de caractère. Je te suis toujours fidèlement,mais pas sur you tube car il n’y a pas de traduction. C’est vraiment dommage . Connais-tu une astuce pour pouvoir les traduire STP. What temperature setting? I don’t see it on the instructions. Love your recipes and photos. Bee – I’m not seeing the temperature to bake the Sweet and Sour Wings. 400F. So sorry for the omission. The oven temperature in which to bake the wings is not mentioned. Sounds wonderful but at what temp do you bake them? American ketchup. Not kecap manis. The two thing in chicken i love the most are chicken wings and chicken legs. I never miss any recipe related to my favorite and this one is exceptional for me. I would love to taste this toothsome recipe once because i can’t resist myself from eating this. 5 minutes of prep?!? Now you’re talking my language!! Can’t wait to try this!! Awesome, happy cooking these sweet and sour chicken wings. Gotta try these! They look amazing! Thanks Karly!! Yes they are very good! That sauce looks perfect! Can’t wait to try it. Awesome post for this recipes ..